What happens when you unite three remarkable women with unstoppable drive and insurmountable energy? You yield a plan, 22 acres of land, invaluable connections, and progress of considerable magnitude. From October 25 to November 1, 2014, Alyssa Ramos Reynoso, Co-Founder and Chief Executive Officer (CEO), Jacquelyn Crutchley, Co-Founder and Chief Operating Officer (COO), and Dr. Adrienne Redd, Former Advisor, traversed the Atlantic to advance Schools for Sustainability (S4S) to groundbreaking levels in the Dominican Republic. And break ground they did. This trip had two purposes. The first goal was to get the Memorandum of Understanding signed, which enables S4S to begin construction. The second purpose was to visit the hostels, restaurants and local aquaponic facilities in the DR, in order to ensure that the Arcadia University student Spring Preview Trip runs smoothly. Not only were these goals met, but they left the DR with tremendous progress, unforgettable experiences and invaluable relationships. Upon arrival, Crutchley and Ramos-Reynoso were eager to hit the ground running. On Saturday, the two met with Carolyn Guzman, Dominican Communications Liaison, one of S4S's closest supporters in the DR. In a fortunate turn of events, Ramos-Reynoso and Crutchley connected with Carolyn's husband, Luis González. Luis Gonzalez is a journalist, who generously volunteered to write an article about S4S, to inform the community of our mission. On Sunday October 26, the two embarked on the journey to Monte Plata to visit the land donated to S4S by Cesar Fernandez, a leading architect in the DR. Ramos-Reynoso and Crutchley met with the Provincial Senator, Charles Mariotti and his industrious and well-connected assistant, Lidia Hernandez. Mariotti and Hernandez were delighted and inspired by S4S's efforts, and happily agreed to facilitate with the development of the school. President, Leonel Fernandez. In this productive meeting, Cesar Fernandez signed the Memorandum of Understanding, hereby enabling construction and transferring ownership of 22 acres of land to S4S by March 2015. The Memorandum of Understanding grants permission for Schools for Sustainability (and Arcadia University students) to build an aquaponics unit on the land this upcoming March. This meeting was followed by a networking session with Andres Marranzini, a lawyer with experience in environmental and labor law. Mr. Marranzini will write a "Contract of Usage," conduct a title search and help create a non-profit in the DR that is a subsidiary of S4S. This non-profit will provide opportunities for DR citizens to help uplift their community and country at-large through education, service and sustainability. 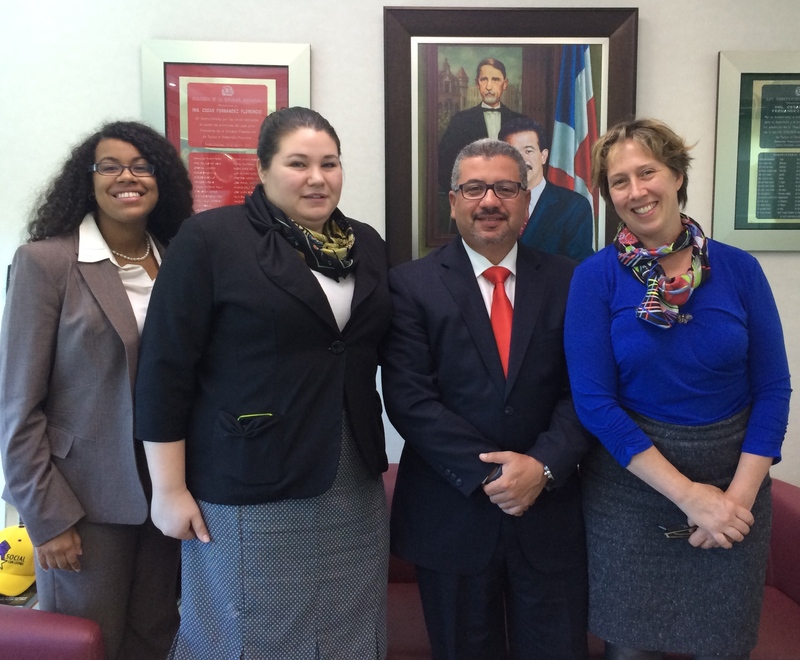 [Photo from Left to Right: Alyssa Ramos-Reynoso, Jacquelyn Crutchley, Cesar Fernandez and Adrienne Redd]. Ramos-Reynoso and Crutchley returned to Hotel Toro in Monte Plata, a potential accommodation for the 15 Arcadia students when they construct the aquaponics unit for the first school in March 2015. It is essential to ensure safety and well-being during the upcoming trip. 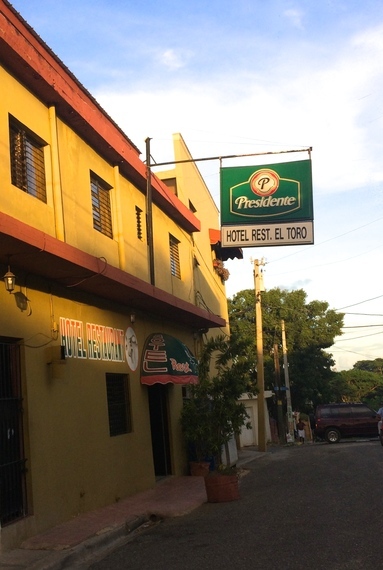 S4S is confident in choosing Hotel Toro because it is clean, centrally-located, and comfortably spacious. Additionally, the friendly staff, reasonable prices, and fantastic food are notably impressive. While eating at Hotel Toro, the two met Fausto Moreno, a journalist for the national newspaper, Listin Diario. Overjoyed by our organization and mission, Moreno also volunteered to write an article about Schools for Sustainability to raise awareness in the DR. The next day, the two toured Monte Plata, photographing high school students, the land we were promised, agriculture and infrastructure. Crutchley and Ramos-Reynoso formed a critical relationship with Jose Aquino Ortiz, farm manager and animal-keeper of the land where the school will be built. Both Ortiz and S4S are excited for this collaborative partnership to bloom. As the students assist Ortiz in his farming needs and he will share his vital indigenous farming knowledge with S4S. The ladies also met Jesus Antonio of Hermanos Guillen at his ceramics shop. 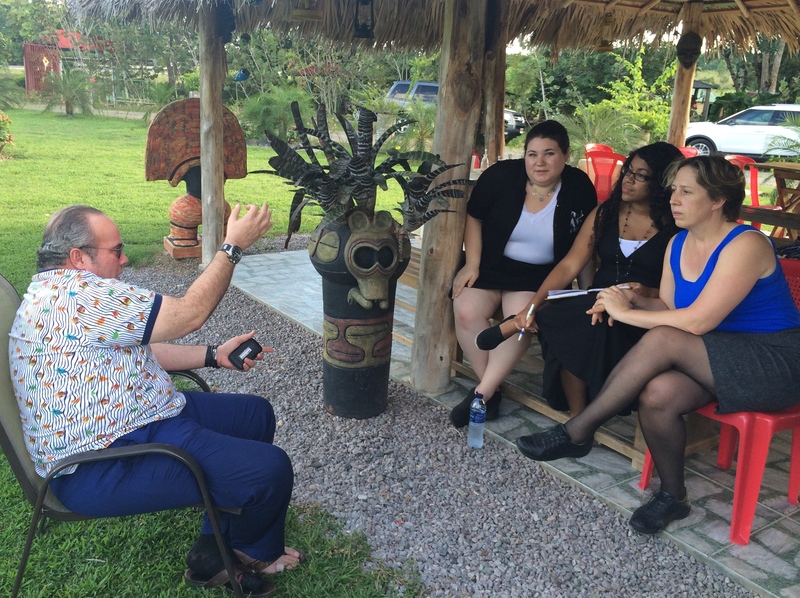 Antonio works preserve cultural traditions and revitalize Taino ceramics. Antonio is a local artisan who offered goods to the members of our organization. 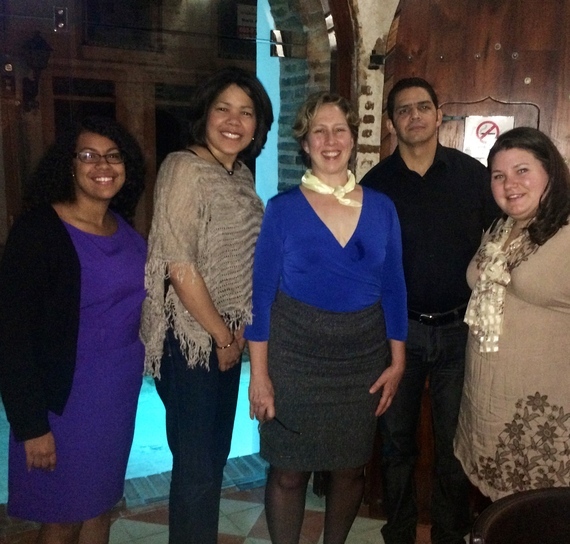 S4S is eager to support local businesses and help support the economy in Monte Plata. Over the remainder of the week, Ramos-Reynoso and Crutchley visited Ramos-Reynoso's family in Maimón, Bonao. Ramos-Reynoso's uncle, a contractor is willing to help with the aquaponics construction. The team then toured Taino Farm, a sustainable agriculture project in Los Brazos. 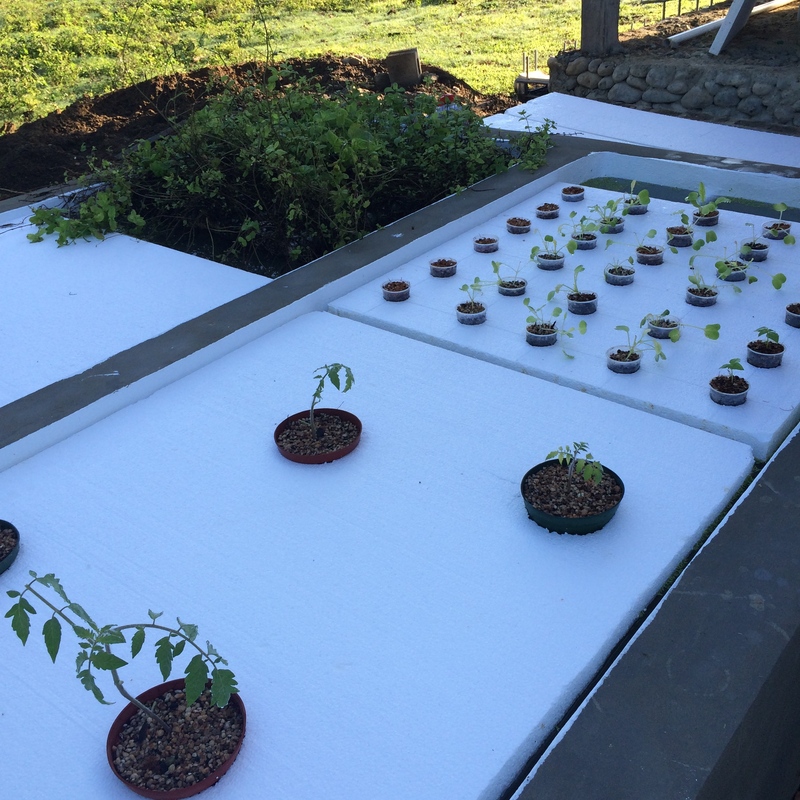 At Taino Farm, the ladies learned aquaponics techniques which they will integrate into the school's food production operation. S4S and Taino Farm are mutually excited for this partnership. Sponsored by an anonymous donor, the trip was a tremendous success, for which S4S will forever remain extremely grateful. The plans to build a sustainable school for underprivileged children were zealously received within the community. For that we are touched and blessed to get this project running. Between making valuable connections, and obtaining a signed Memorandum of Understanding for the land, S4S is making headway at light-speed towards the goal. This blog post was co-written by Director of Efficiency and Administrative Supporter, Kimmy Weller. She earned her B.A. in Psychology from the University of Delaware and her Master of Science in Public Health and Certificate of Environmental Health from the Johns Hopkins Bloomberg School. In graduate school, she focused on program planning and evaluation. She and a group of students implemented a school-wide campaign to encourage students to reduce exposure to toxins by avoiding plastics for food and beverage storage. In her research, Kimmy completed her Master's thesis on climate change and its public health impact. As an undergraduate, she completed an electric vehicle market analysis, which she presented at the American Psychological Association national conference. Professionally, Kimmy has worked at the Philadelphia Eagles stadium to expand the Eagles' Go Green environmental campaign. She coordinated a plastic film recycling process, and led sustainability training for managers at sports stadiums countrywide.